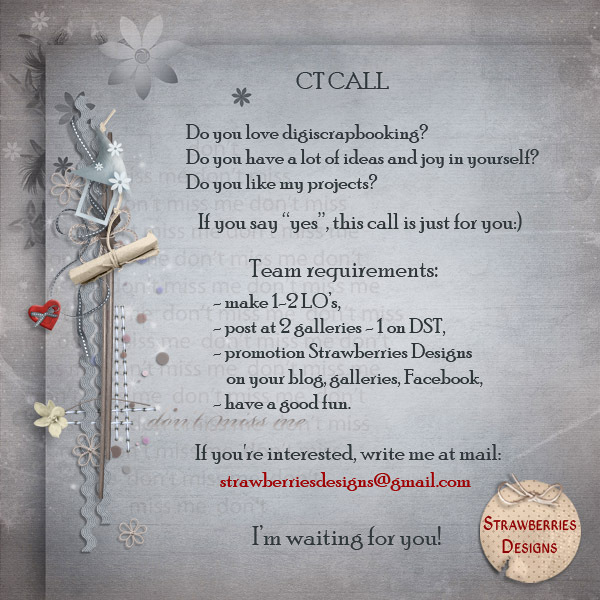 Strawberries Designs digital scrapbooking corner: Winner and CT Call. So little we need to be happy, right? and in answer I send you coupon. Well, now with pleased to invite you to my team.